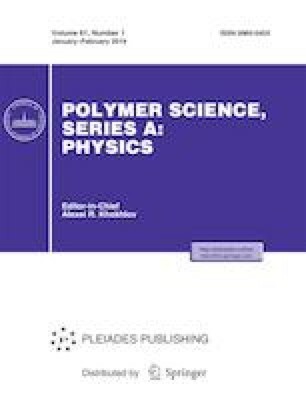 The effect of process parameters of foam injection molding on the morphologicalproperties of acrylonitrile butadiene styrene (ABS)-nanoclay polymeric foam has been investigated. Polymethyl methacrylate (PMMA) was used as the compatibilizer between polymeric matrix and nanoclay. Different nanocomposite polymeric foam samples were produced in a chemical foam injection molding process. X-ray diffraction (XRD) test was carried out to analyze the dispersion of nanoclays with different percentages in the polymeric matrix and scanning electron microscopy (SEM) pictures were used to study the cellular structure of nanocomposite foamed samples. The effect of input parameters including nanoclay weight percentage (0, 2, and 4%), Injection Pressure (110, 125, and 140 MPa), and Holding pressure (110, 125, and 140 MPa) on cell density, cell size and expansion ratio of foamed samples have been investigated. Taguchi approach was used for the design of experiments and statistical analysis of results. Based on the results, 2 wt % of nanoclay and injection and holding pressures of 140 MPa is beneficial in order to have polymeric foam with small cell size. On the other hand, to achieve foams with higher cell density, 2 wt % of nanoclay, injection pressure of 140 MPa, and holding pressure of 110 MPa should be used.